Ah, summertime. Such freedom. Especially when you’re a kid. If you’re close to my age — hell, even if you’re not — your summers were probably a lot like mine: a lot of swimming, sweating, baseball, running around, riding bikes, burning your feet on the sand, staying up later and later, chasing the ice-cream man. And comic books. Lots and lots of comic books. Pretty much the stuff I loved all year long took on a special hue in the summertime, when everything seems brighter, vibrant and more exciting, looser and more relaxing. July 4 is next week and we’re in the middle of a heatwave here in New York. Stacks of Back Issues. I loved going out to play ball. I loved going to the beach and the pool. But I also loved sitting in the air conditioning, happy in my own company and reading a big stack of comics. 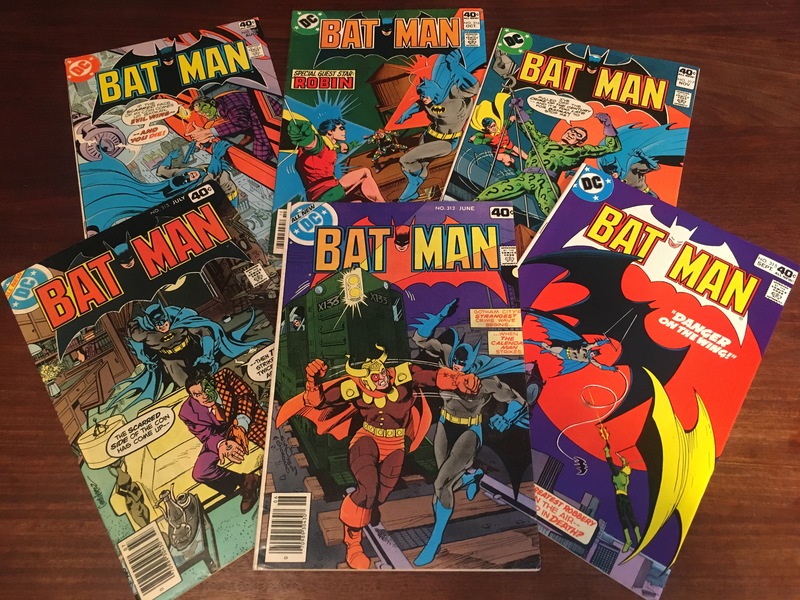 For whatever reason, I particularly remember going through my collection of ’60s Batman back issues. (I didn’t call them Silver Age comics yet.) There are so many great ones to remember, in all their colorful go-go glory. Want to see a gallery of some of the best? 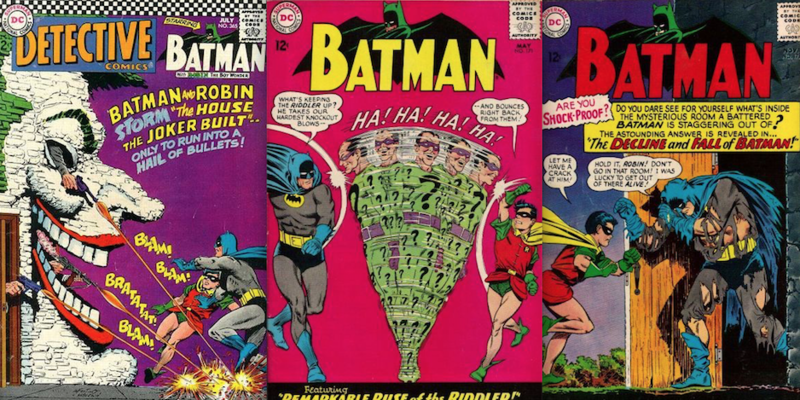 Click here to check out CARMINE INFANTINO’s 13 GREATEST BATMAN COVERS — RANKED. Pool Comics. I freely admit I stole this idea from podcaster extraordinaire and 13th Dimension columnist Rob Kelly. He has a special podcast dedicated to what he calls Mountain Comics — issues he remembers reading while spending summers in the Poconos with his family. (I even paid a visit to talk about Teen Titans #51. Listen here, if you like.) 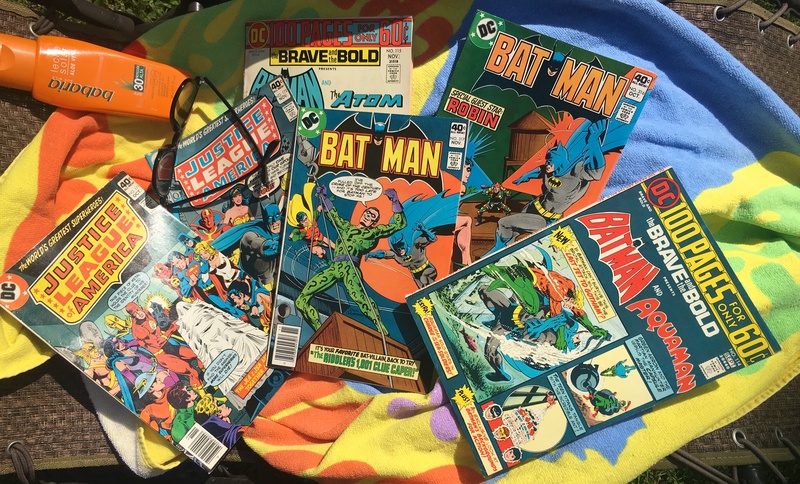 As it happens, there are a bunch of comics I remember reading by the pool when I was a kid and they stayed with me because of it. We’re talking Batman issues by Len Wein and Irv Novick; some classic The Brave and the Bold by Bob Haney and Jim Aparo; and my all-time fave JLA-JSA crossover. Last year, I even wrote a whole post about them and why those comics are so special. Click here to check it out. I think you’ll dig it. JLA-JSA Crossovers. Another one that deserves its own entry: DC’s Justice League-Justice Society crossovers were like the comic-book equivalent of a trip to the boardwalk or amusement park: plenty of color and excitement — only a whole lot cheaper. Aquaman. 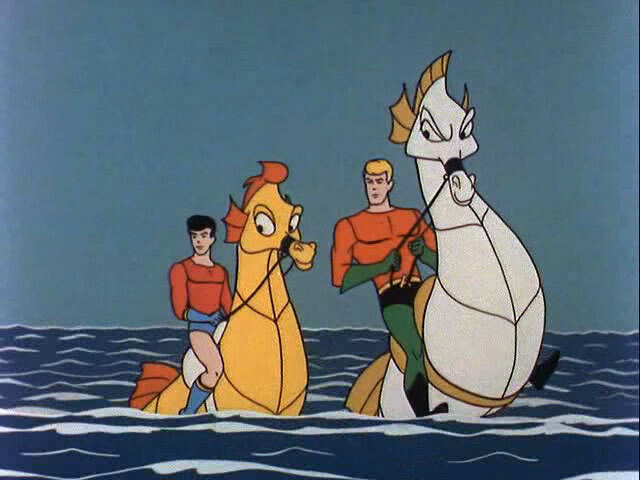 I used to imagine I was Aquaman when I went to the beach. I would fight imaginary seaweed monsters and punch the powerful, angry surf until I was exhausted. Never did find a gigantic seahorse, though. Mego Madness. I always took advantage of the freedom that summer brings. 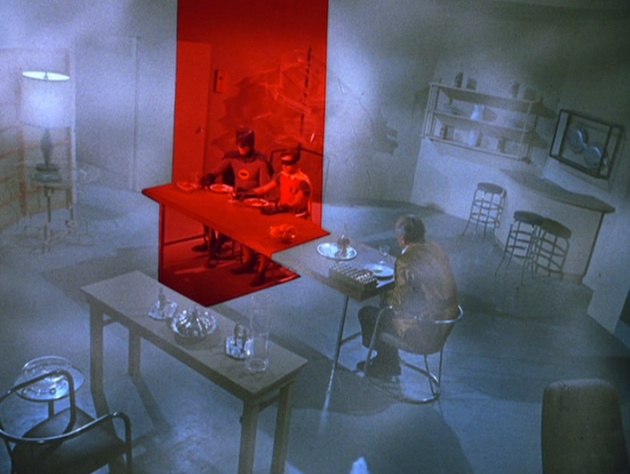 I’d set up my Mego Batcave on the family-room floor and play to my heart’s content. 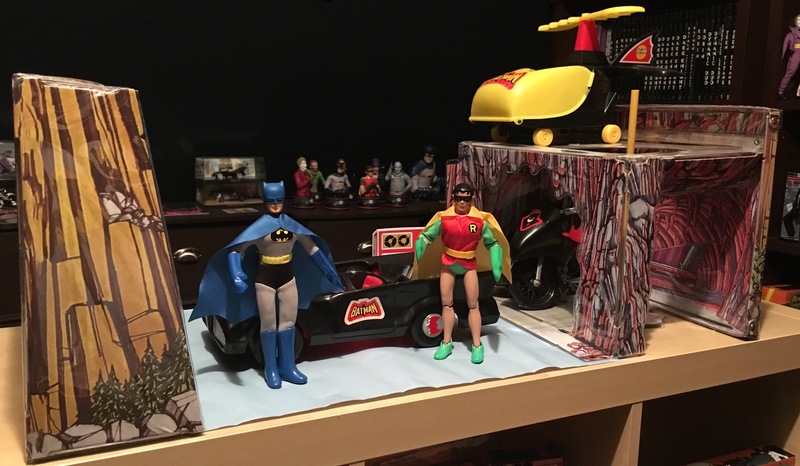 In true Batman ’66 fashion, I’d leave Batman and Robin in a death trap overnight — and begin the next day with them getting out of the jam that the Joker, or the Riddler, or the Penguin or Catwoman — or some combination thereof — put them in. The Magic of ’77. The summer of 1977 was a helluva year. 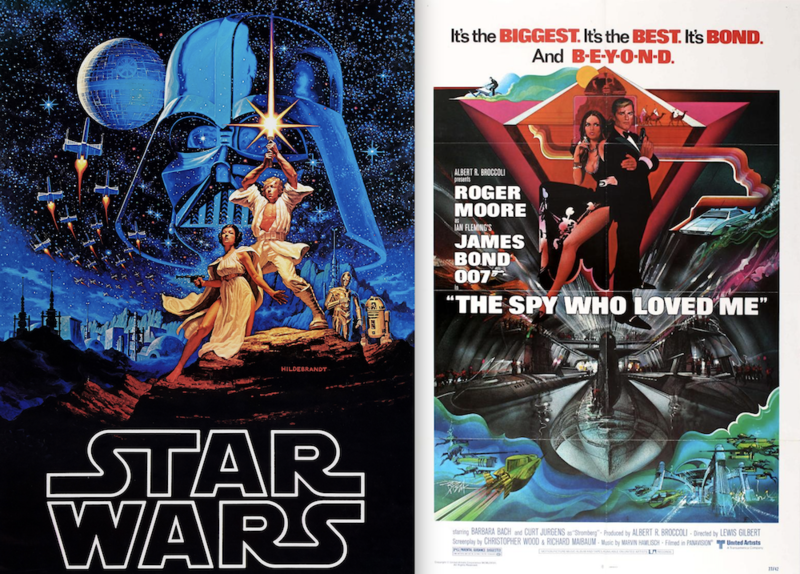 Star Wars came out at the end of May — I was there opening weekend — and the latest James Bond flick, The Spy Who Loved Me, came out in July. 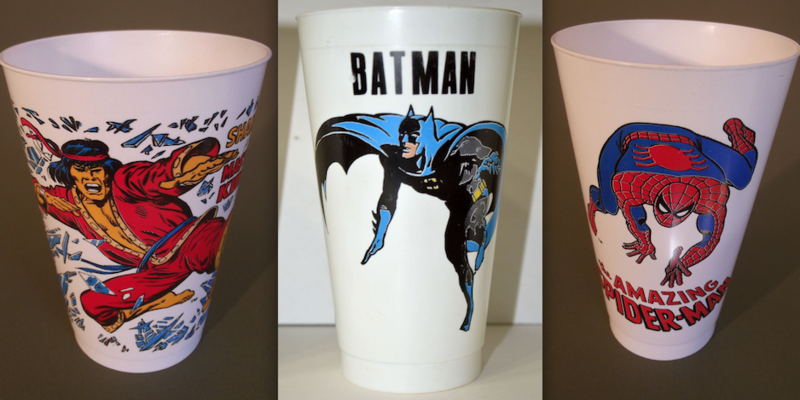 I remember alternating between playing Batman, Star Wars, baseball and Bond and back again. As Bond, I would run around in the summer heat with a navy blazer over my shoulder-holstered pellet gun — and shorts. Star Trek at 19. 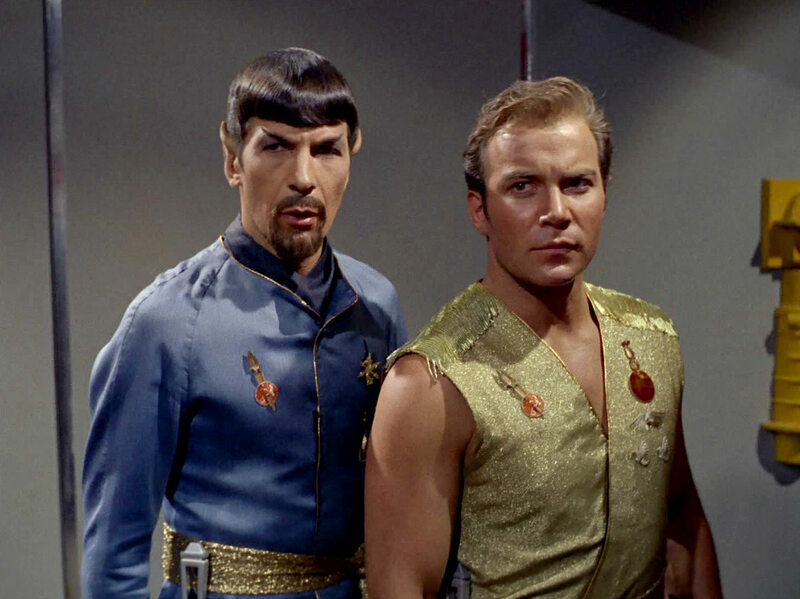 I was a late bloomer on Star Trek. It bored me as a kid, I’m embarrassed to say. But it was on late at night on WPIX during my first summer home after starting college and I fell hard. It became appointment TV and from that point on, I was a convert. I would make a big bowl of Chex mix from scratch and settle in. Afterward, I would watch this insane televangelist named Rev. Robert Tilton, who would get so whipped up he’d start speaking in tongues. (Google him.) Of course, he was a charlatan — but he was a really entertaining charlatan. That has nothing to do with Star Trek per se, but I’ll always make that connection. Baseball. You probably don’t know this because I almost never write about it but I loved baseball as much as I loved comics — perhaps even more so at times. I watched the Yankees on Channel 11, listened to them on the radio, zealously played table-top games like Statis-Pro Baseball and begged my Mom or Dad to take me to games. I spent hours at Lafayette School playing a suburban version of stickball in Highland Park, N.J., with my friends, threw a baseball-shaped rubber ball tirelessly against my front steps — bashing in our screen door in the process — and, of course, played Little League. One year, I even went to baseball camp. The Steroid Era pretty much gutted my love of the game about 12 years ago but I’ve rediscovered it again the last couple years. It helps that the Yankees are really exciting again. What does this have to do with comics? Very little. 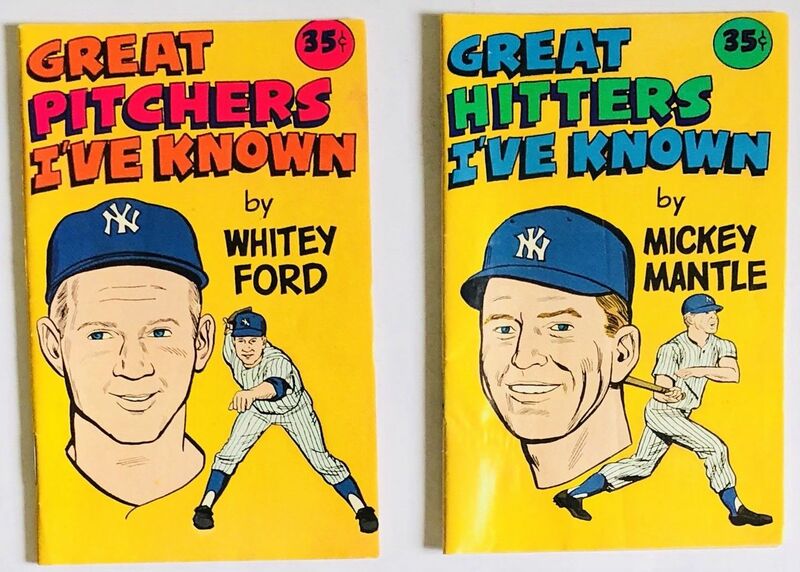 Except that two of my favorite baseball collectibles as a kid were a pair of mini-comics I got at Carvel that were “written” by Whitey Ford and Mickey Mantle. Did I mention I also love Carvel? It’s my favorite! Biking Into Adulthood. In a sense, the last summer of my childhood was when I was 14. 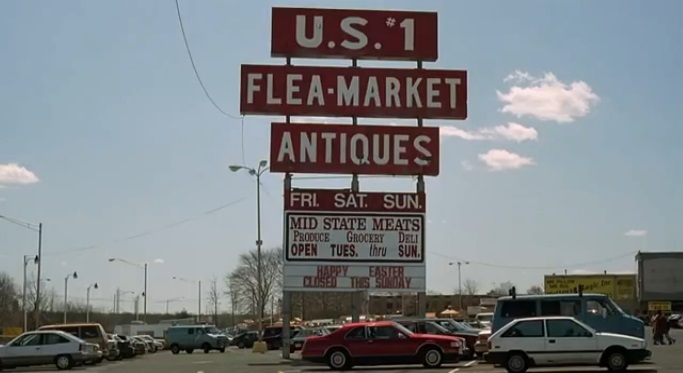 I was old enough to get up early on a summer Saturday morning, hop on my bike and ride 2.2 miles to the U.S. #1 Flea Market in New Brunswick. Doesn’t seem like a big deal, right? Except it was a remarkably hazardous ride that forced me at one point to hoist my bike on my shoulder and climb a steep rocky incline and at another to cross a 100-foot-high bridge alongside deadly high-speed traffic. All to get to the stall that sold comics, new and old. I’d spend all afternoon there, hanging out, debating the New Teen Titans vs. the X-Men, hear guys talk about that Frank Miller guy and have the best fresh-cut French fries ever, in a brown paper bag with malt vinegar and salt. We moved at the end of the summer and my life moved deeper into teenagehood and beyond. But all these memories remain — and I get to revisit them, year after year. I used to make that trek to the US1 market from Elizabeth. Almost as scary in a car. you stoked up a few parallel memories for me with this one. biking the long trek to the comic shop. mushy fries w malt vin & salt and a wooden spork YUM! so much trek we knew all the lines. playing with megos as a little kid, i was addicted to those. and the first comic i remember had something to do with the death of ferro lad. might’ve been drawn by Mike Grell. im still hunting for it. Sounds like the comic you’re looking for is Superboy and the Legion of Super-Heroes #206. Should be available online relatively cheap; mycomicshop.com has copies for less than two bucks.